Erbee here is a veteran of an actual charity duck race, one of the few ducks to appear in Quacked Panes that was actually purchased by me. 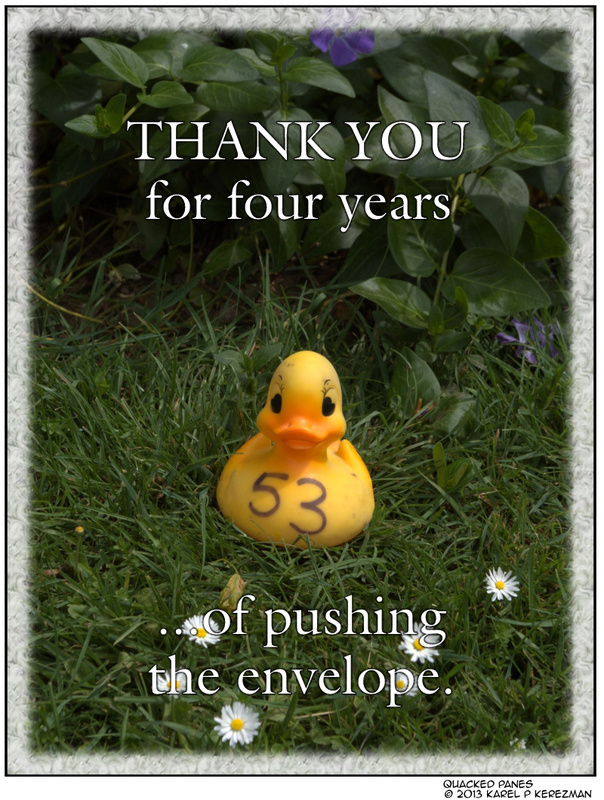 Many, many of the ducks you’ve seen in the last four years are gifts… and no small number of those are via Wonderduck. Speaking of whom: I couldn’t have written any of Erbee’s racing-related dialog without that esteemed personage, so consider this a great big THANK YOU! We have one more week of posters yet remaining so stay tuned, folks. To be fair, you shipped me Rusty II lo these many years ago. And there’s this little thing about four years of duck comics… consider all of it a downpayment on the “thank you” we all owe you. Woah, woah woah, apple cider donuts?! This deal just got REAL!